Hosting people for dinner is one of my favorite things. 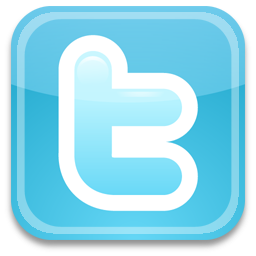 I love planning and scheming and cooking for an event where food is involved. Cooking is my way of showing people I care. Unfortunately this weekend was not well planned out or schemed. At 8 am we decided to host my 83 year old Great Uncle on Friday night. He’s a veteran and engineering professor and prides himself on promptness. Dinner was supposed to start around 7pm. Of course both Mr. RWB and I were running late, he ran an errand and I couldn’t find anything at the store. Despite the late start, the sausage and kale salad with grown up grilled cheese was well received. Both guys drank all the broth. And on Saturday, Mr. RWB had tickets to the circus from work so we invited some people he works with over for dinner. I had originally intended on making an entirely veggie lasagna but given the guest list decided to take it back a notch. There were 5 adults and 2 children but didn’t pull it back quite enough. Well 4 of 7 isn’t too bad…and sometimes you don’t get a proper finish shot as you’re too busy to take a photo…maybe next time! A few weeks ago the people at Red Gold contacted me to see if I was interested in trying out their canned tomatoes and make lasagna. They sent me a recipe, serving spatula, tomatoes and some lasagna noodles. I added some beef, cheese and roasted farmer’s market veggies. Voila my #RGLasagna recipe without cooking the noodles! My favorite kind! Roasted veggies kick up this traditional lasagna recipe. This recipe makes 2 - 9x13 pans. Heat oven to 400 degrees. 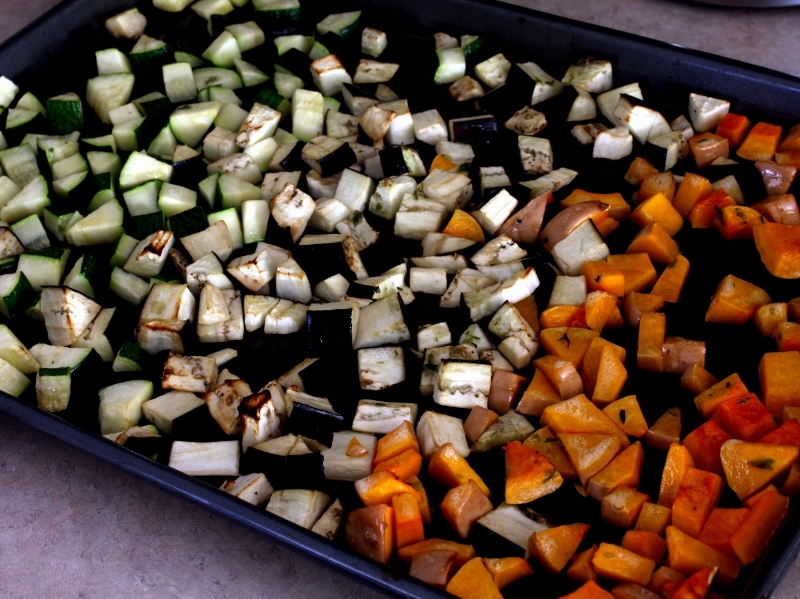 Line cookie sheet with squash and eggplant and spray with oil. Roast for 20 minutes. 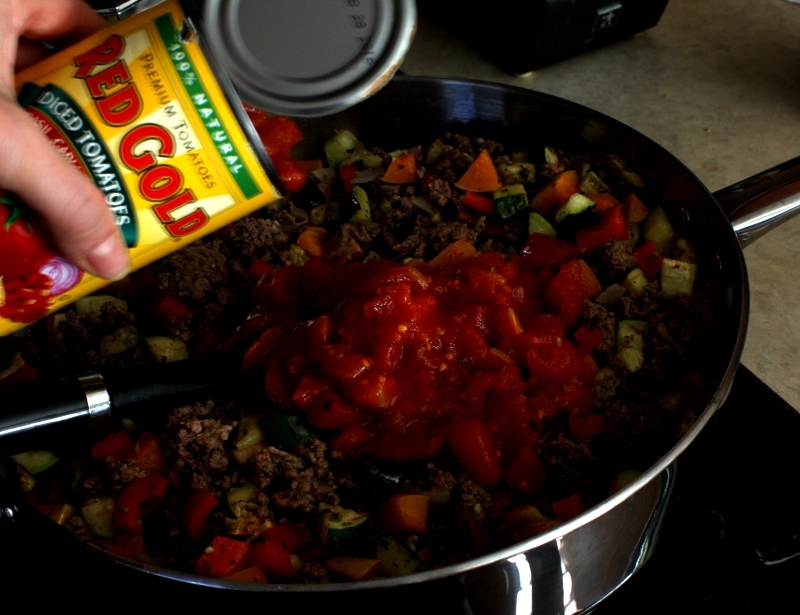 While the veggies are roasting, in a large pan, saute the beef and add Italian seasoning. 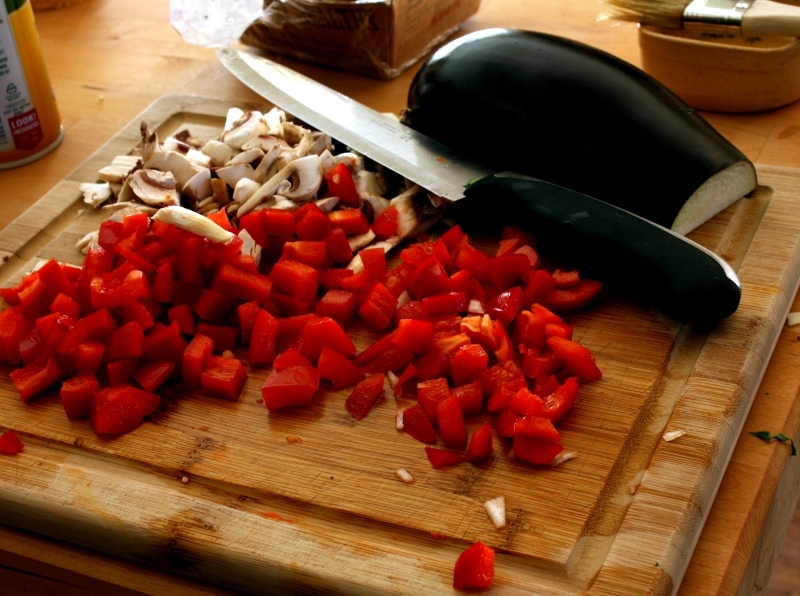 Add roasted veggies and tomatoes into the pan and bring to a boil. Stir ragu during heating. 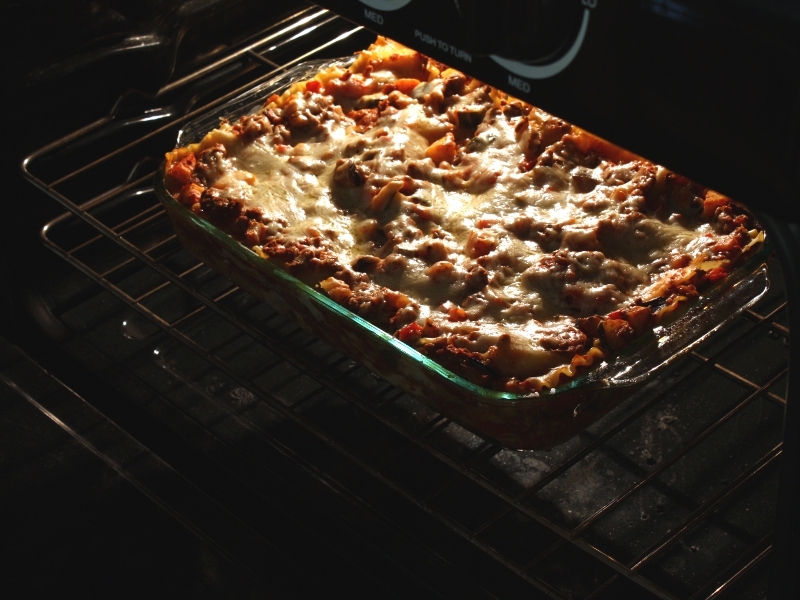 Put 1½ cup of sauce in the bottom of a 9 x 13 pan then layer noodles in the bottom. Add 8 oz. ricotta onto the noodles and sprinkle ⅓ of a bag of mozzarella. Add 1½ cup of sauce. Layer another layer of noodles the opposite direction and ricotta, mozzarella and sauce. 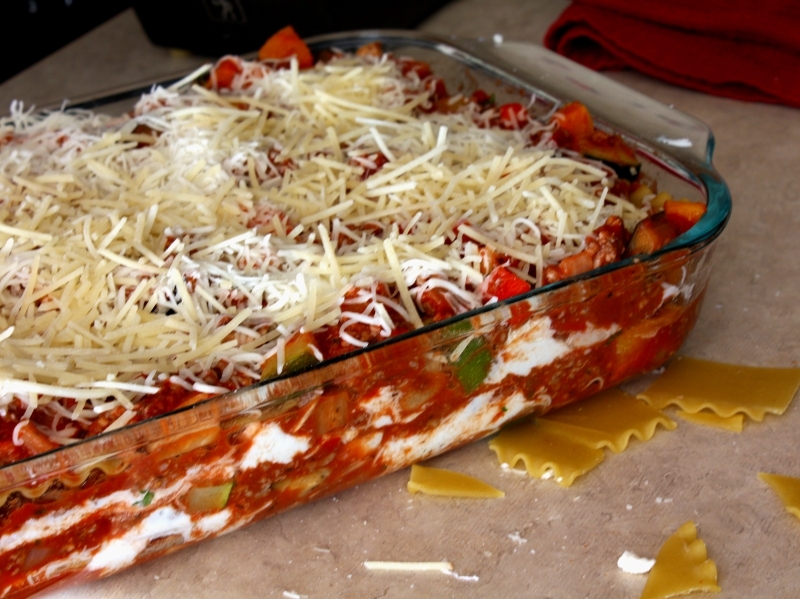 Finish up with a final layer of noodles, sauce and cover with mozzarella and Parmesan. Repeat with the second 9 x 13. Cover with foil and bake at 350 degrees for 1½ hours. Cover with foil and bake for 1½ hours.